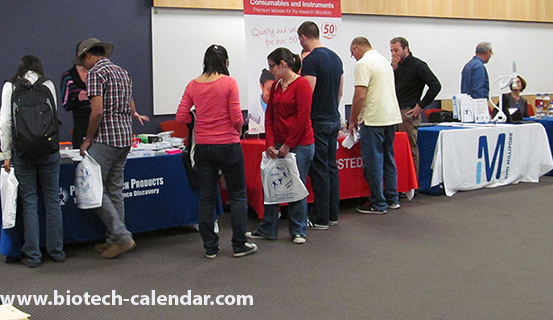 Biotechnology Calendar, Inc. likes to make its events fun and enticing to those attending. All events are fully catered, so you can come at lunchtime and get delicious food to eat while looking at the booths. Pizza, veggies, and beverages will be available throughout the length of the event so there is no rush to be one of the first people to arrive to make sure you get a slice. If free food isn't enough of a reason to come, there are also door prizes and giveaways at the event. One of the most popular giveaways are the Biotechnology Calendar Science Ninja T-shirts, which can be seen on our Instagram page. Researchers like to come year after year to collect shirts in different colors to proudly wear around campus. Last year, attendees came from 35 different departments, making the event a great place to interact with other researchers as well. Since the University of Arizona is such a large school, this event is a great opportunity to interact with other researchers to make new connections and find out what different departments have been working on. What better environment is there than one with free food, new supplies and hundreds of colleagues? Come out to the BIO5 Institute, Room 103 on December 4th to participate in this great event. 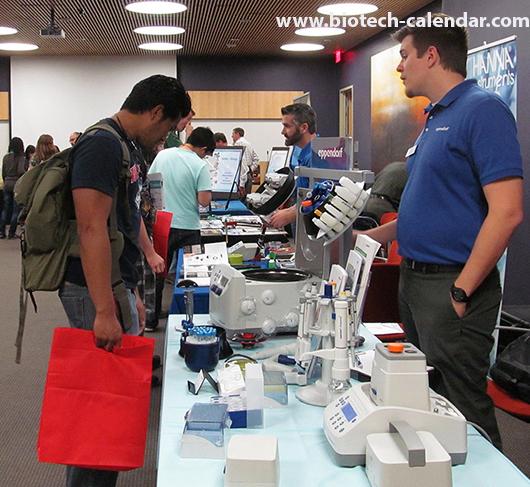 Biotechnology Calendar, Inc. is a full service life science event marketing and planning company with more than 20 years experience producing life science table-top shows around the U.S. There are over 50 shows a year, and upcoming shows can be found on the 2015 life science event schedule. We recommend that you register in advance to save time at the event. Registration information, as well as more information about the upcoming Arizona event can be found at the link below.